Many of us can’t read printed books, newspapers, and magazines. For example, people with dyslexia, visual disabilities, motor or cognitive impairments, as well as age-related macular degeneration can find traditional print impossible to access fully. Digital publications offer huge opportunities for improved access to content. Publishers are working hard to ensure their digital content is as accessible as possible. 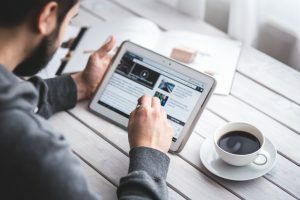 This can be challenging depending on the type of content they are working with but there is much work being done to increase the accessibility of rich content in ebooks and the EPUB 3 format offers the most opportunity for mainstream accessibility. Inclusive publishers want their content to be available at the same time, at the same price and in the same format for everyone.